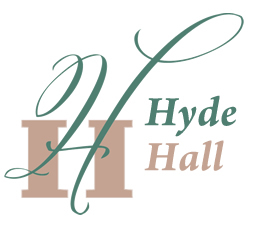 On Saturday evening, June 23rd, Hyde Hall hosted a special black-tie dinner in honor of major donors who have helped to fund recent and ongoing restorations. 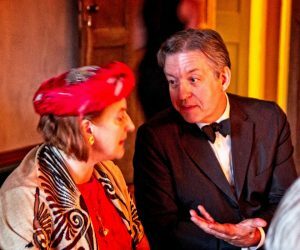 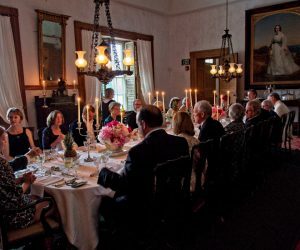 Thanks to their support, Hyde Hall has made significant progress, and the donor dinner held in the Dining Room showed what Hyde Hall and the staff can now accomplish to entertain guests. 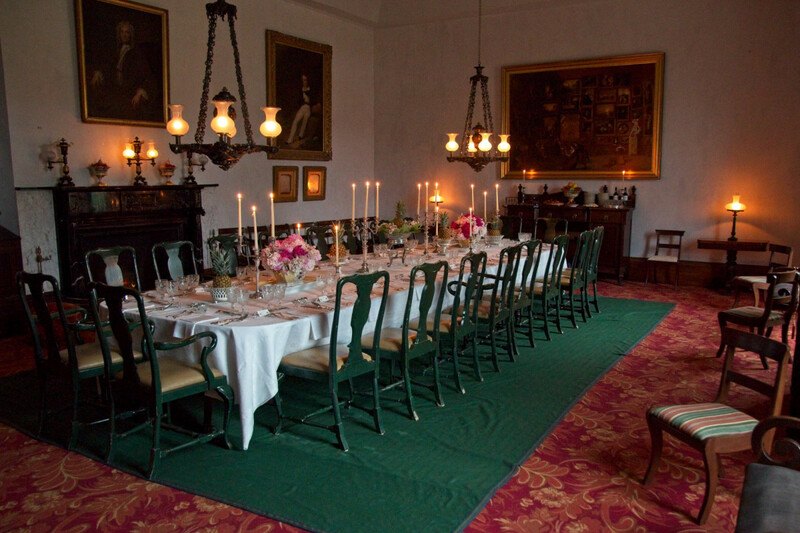 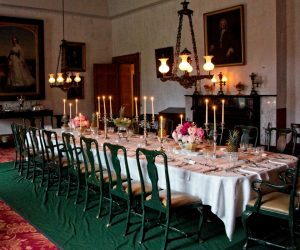 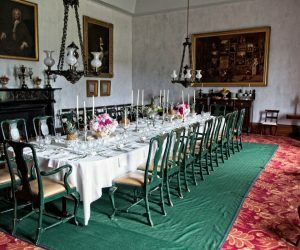 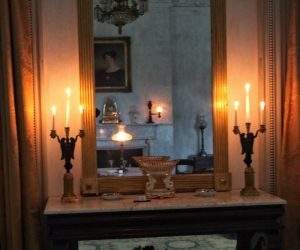 With its restored Brussels carpet, marbleized walls, Clarke family portraits, and vapor light chandeliers, the room was the perfect setting for a period-style dinner of seven courses prepared by Mitchell Owens and Matthew Zwissler, Hyde Hall Trustees. 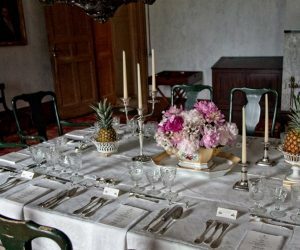 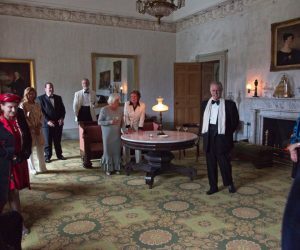 Along with the Gipson family of Unadilla, New York and Boston, Massachusetts, the Northrups of Cooperstown, The Keith’s of Cooperstown, Eva Davy of Westford, New York, and members of the Hyde Hall Board of Trustees and their spouses, all were treated to a wonderful experience in the restored, newly elegant Drawing and Dining Rooms of this Anglo-American country house.